I am all for any product that makes my hair look and feel luxurious and glossy. So when the Coco and Eve hair mask kept popping up on Facebook, I gave in and decided to make a purchase. For £34.90, I was expecting incredible results and I have to say, I wasn't left disappointed. Watch my video review here. 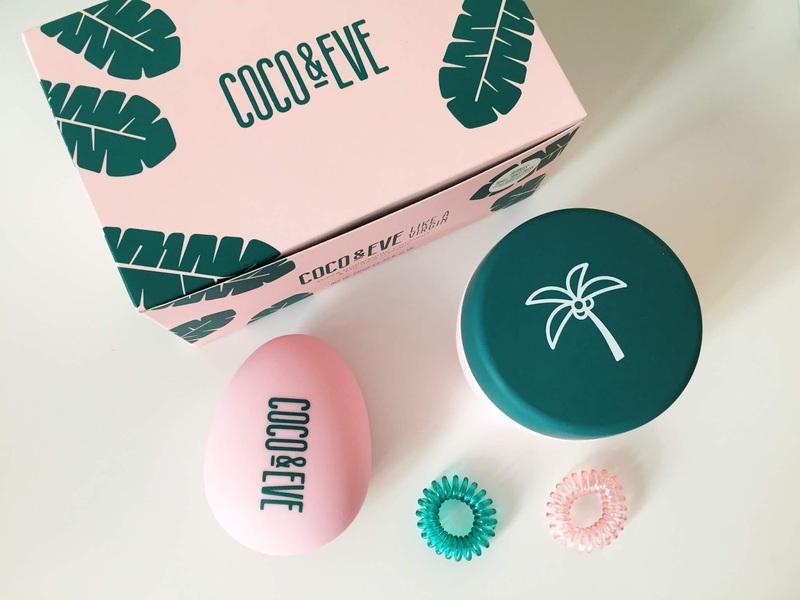 The Coco and Eve packaging is so stunning. It's sleek with great pops of colour. It's boxed well and looks well made. It arrived in three days so I didn't have to wait long. For £34.90 you get the hair mask which is a 212ml tub and a tangle teezer. I also received two hair bobbles from Cult Beauty but I'm not sure you received these if you purchase from the Coco and Eve website. This hair mask is divine. The smell is incredible, fresh and long lasting. It's super easy to apply and makes your hair feel weightless and glossy. I couldn't recommend it more. It definitely tackles the frizz, but I'm not sure whether it treats split ends as I haven't used it enough to confirm this. The texture of my hair feels wonderful and I haven't had to wash my hair in three days. Which for me is amazing - I usually end up with greasy hair after two days. I have tried a variety of hair masks, none of which have given me the same results as this one. I am so impressed. I do think the price of the product is rather expensive, however it's a good quality product that works so I would definitely recommend. Overall, I'm super pleased and will be purchasing again after this one runs out.